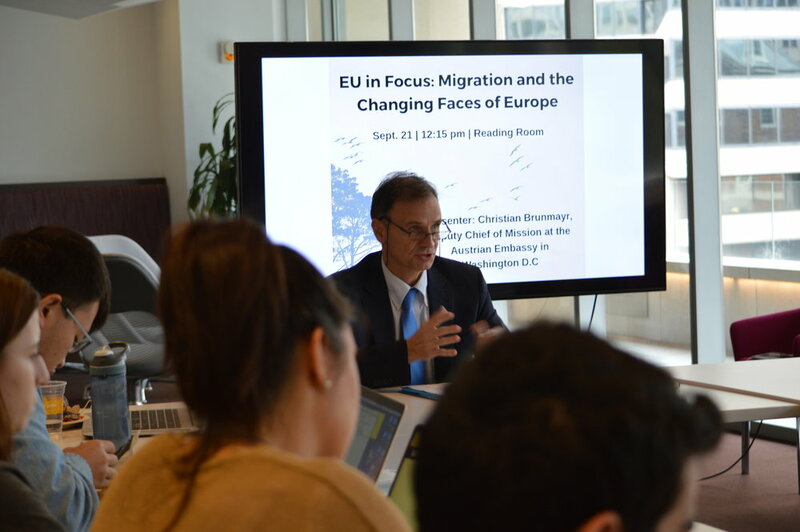 On September 21, 2018, Christian Brunmayr, Deputy Chief of Mission at the Austrian Embassy, spoke with students from the New York University’s Washington, DC campus about migration and the changing faces of Europe. This lecture also presented the priorities of the current Austrian presidency of the Council of the European Union that places a focus on asylum and migration issues, on protecting external borders, on fighting radicalization, terrorism and organized crime, on digital security, and on protecting European values. 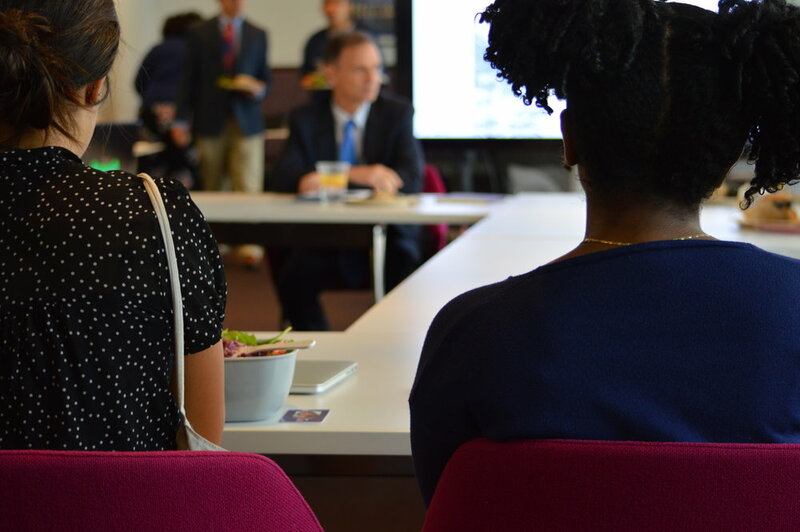 The EU in Focus series by NYU DC includes Ambassadors, government officials, and experts providing lectures on how the EU government functions as well as other timely issues.